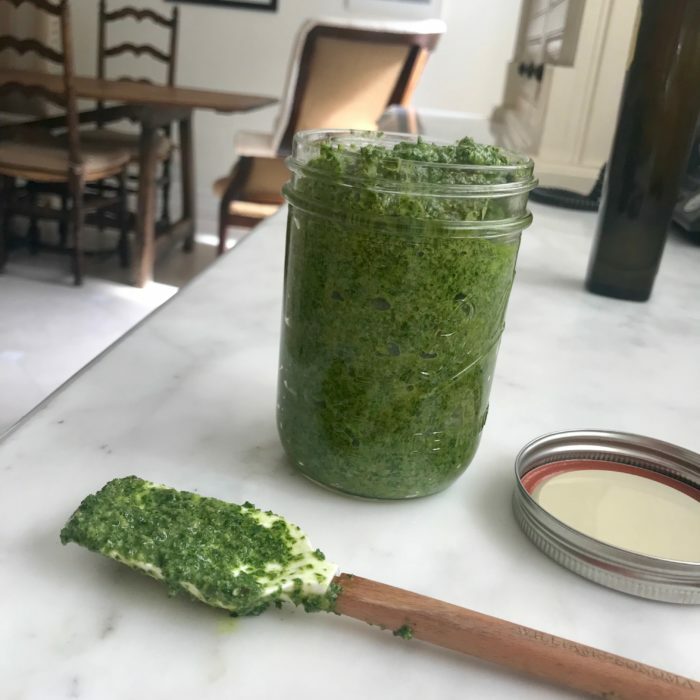 This pesto is full of nutrients thanks to the kale. It also keeps for a while in the fridge. Add it to your soups, sandwiches, pasta, rice, sauces, chicken or steak for extra deliciousness!!! Put all the ingredients (except the olive oil) in the blender and process until smooth. Once that is done slowly add the olive oil and keep on blending. Once it is all combined transfer to a jar and keep in the fridge for 1 week to 10 days.